Last week I wrote about how our lives are, essentially – shaped not by the few big decisions we make in life, but rather by the combination of all the little ones. It’s our habits that dictate the kind of life we lead, whether for good or for bad. #1 – We have to make the new habit FUN. I like this idea. It’s not rocket science though – is it? Basically, he says that if we don’t make it FUN, we won’t ever do it consistently – whatever it is. I remember once listening to a Ted Talk by a polyglot. (A polyglot is someone that speaks multiple languages.) This particular lady had studied over 100 polyglots in an effort to understand what methods they all had in common for learning a language. What she discovered was that everyone learned differently – however the one thing they all shared was that everyone enjoyed their learning – regardless of how they did it. She finished her talk but summarizing that unless learning a language is FUN – we won’t do it long enough to ever master it. #2 – We have to make the new habit EASY. James talks about a 2-minute rule. I found this fascinating. Basically, what he says is – we need to form the habit first¸ then once we’ve formed it, we can build on it from there. Think of it like building a house – you have to lay the foundation first, then you build up. What we all tend to do is make a resolution like: “I’m going to join the gym!” and then what do we do? We join the gym – and we start trying to work out for an hour and a half. We don’t lay a foundation, we don’t recognize that we need to ‘build’ our habit – we just go to the gym for the first time in ten years as if we’ve been going every day for the last ten. As a result – the habit never takes, because we’ve made it so difficult for ourselves. The enthusiasm fades, and all of a sudden we don’t have an hour and a half to spare today – augh, I’ll go tomorrow, or if not then definitely the next day! Probably. Instead, James suggest we use the 2-minute rule. That means if you can’t do it in 2-minutes, it’s too hard. He tells a ridiculous story about someone who decided they wanted to be a runner. So, every morning they would get up and put on their running shoes. That’s it. That took two minutes. Then they’d take them off and carry on with their day. They did this every morning until a habit had formed. Then once the habit had formed; they were able to build on that – run for five minutes, then ten, then 15 – you get the idea. What were they doing? They were training themselves to get up every morning and put on their running shoes – until it became so automatic it was just something they did without thinking. Another example he gave was of someone who joined the gym, but instead of going along and spending an hour killing themselves, they literally walked in, did 2 minutes on the treadmill and then left. They did this every day. It sounds absolutely ridiculous (and like a waste of money). What were they doing? They were training their mind – they were enforcing a pattern of behavior, which was: “I go to the gym every day.” And because it was so EASY – they were able to stick with it. Eventually of course, they started to BUILD on that habit, and now they have an active, healthy lifestyle. 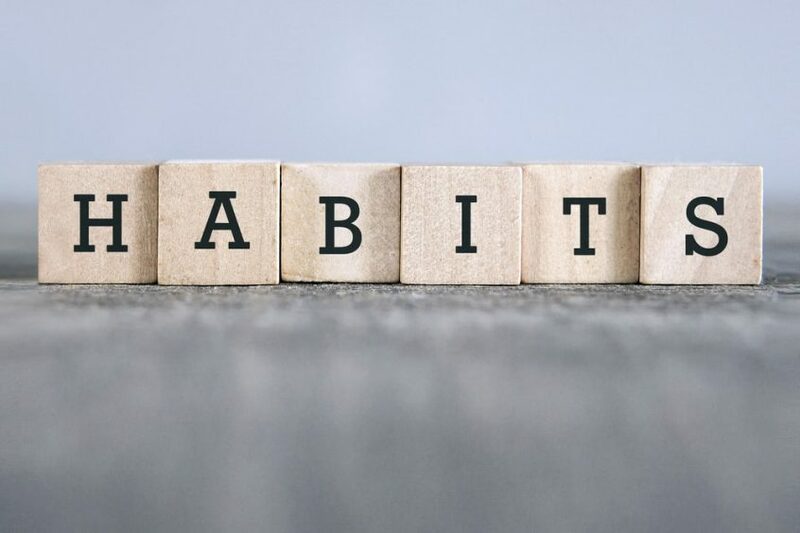 If we all just took the pressure off ourselves to see change in the short term and recognized that even if it takes a year or two to build a particular habit – the important thing is that it becomes habit. Lay a foundation first – then once it’s a habit, start to build. Leaders – Don’t Say This! The Secret to Success – it’s NOT what you think! Copyright © 2016 - Josh van Berkel. All Rights Reserved. Proudly created by Coruscate Digital.